Confession: I still have major post-traumatic stress disorder from when Hurricane Irma struck Florida’s coast last year. Television footage from the recent aftermath of Hurricane Florence in the Carolinas only exacerbated the PTSD. Regarding Irma, the days before the hurricane were awful. Being glued to the T.V. trying to figure out the storm’s projected path. Gathering hurricane supplies like fresh water, sand bags, flashlights, perishable food, gasoline containers, and making sure the generator was in good working order. Figuring out whether to stay or go. We decided to stay in Tampa and “rough it out” until the day before the storm was supposed to hit. At that point, the path changed with the storm’s eye heading literally for my neighborhood. My husband and I packed the car with our kids and the few worldly possessions we cared about (baby photos, birth certificates, credit cards, cash, and passports), and headed to a friend’s house in south Florida. The day after Irma hit, we traveled back to Tampa in what looked like a scene from the apocalypse. The gas stations were out of fuel, with the handles adorned with plastic bags. Tree limbs everywhere. Very few cars on the road. When we arrived in Tampa, our house was largely intact, except for six trees that fell in the yard, including my favorite mature magnolia tree. (Spoiler alert: my yard still hasn’t fully recovered from Irma.) We didn’t have electricity for six days after the storm and it was miserable. While we had a generator that could keep the fridge and hot water heater going, it wasn’t powerful enough to run the air conditioner. While the first few days without a/c weren’t too bad, it was sweltering from there. I mean, it gave me an entire new respect for pioneers who came over on the chuck wagon in the intense Florida heat wearing long pants and dresses with puffed sleeves. No thank you! The day my neighbor texted me to let me know she saw utility trucks in our neighborhood restoring the electricity was one of the best days of my life. It took a good twelve hours for my house to fully cool off after we were able to get the air conditioner going. It took several DAYS to wash all of the linens, towels, and rugs in my house that smelled like mildew. 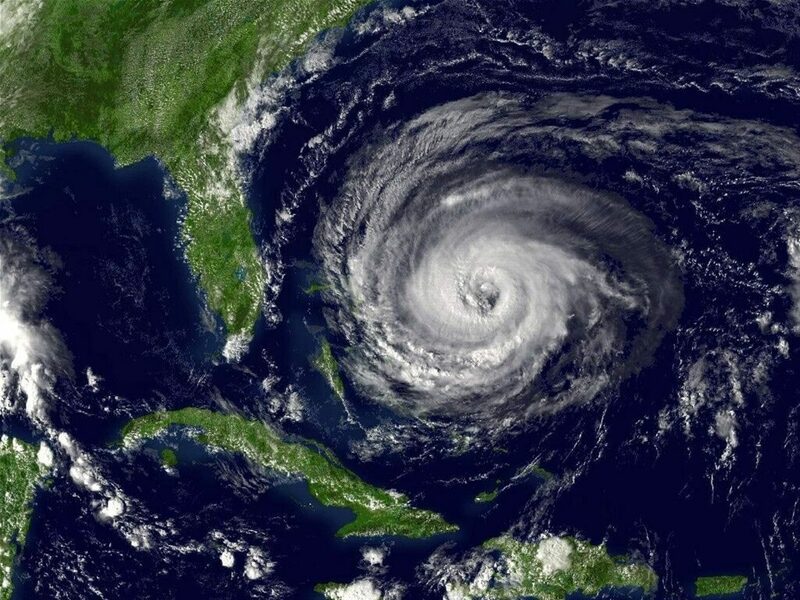 From this point forward, I told my husband we need to have an emergency natural disaster preparedness kit in case another storm hits- and we were getting the first flight out of town the next time we see a Hurricane out in the Caribbean where there is a shred of a chance it could hit Florida. Some of the items from my hurricane preparedness kit. Clorox bleach. This is your disinfecting dream come true for post-hurricane clean-up efforts as it can remove mold and mildew and help kill bacteria from flood water. Be thorough. Wash and dry everything well. Remember: disinfecting works best when all loose dirt and debris are removed first. 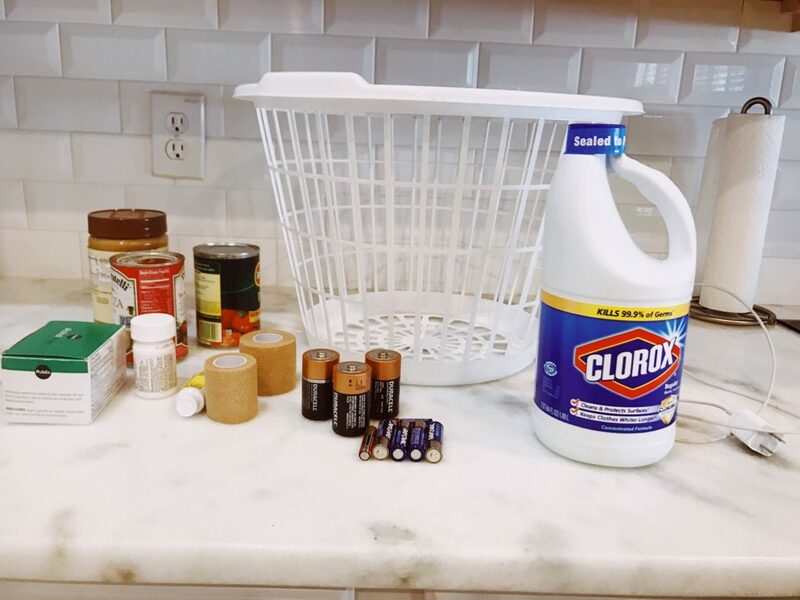 Disinfect hard non-porous surfaces, such as walls, floors, and other items and surfaces touched by flood waters with a solution of 3/4 cup of Clorox® Regular Bleach2 with CLOROMAX® diluted in 1 gallon of water. Keep the area wet for at least five minutes before rinsing. Side Note: Did you know that bleach can help treat drinking water if authorities having confirmed it is safe? Check out more information here. Flashlights, batteries, oscillating fan, and AM/FM radio. Make sure the batteries actually fit in the flashlight and radio. The radio will enable you to hear the news. Gas cans. If your local home improvement store is out of these, you can usually buy them from retail chains and have them delivered. Stuff to Keep Busy and Entertained. Stock up on books, magazines, playing cards, and board games. Food that will last a while. Bottled water and sports energy drinks. Cereal, peanut butter, bread, crackers, and canned goods (don’t forget a hand-held can opener!) Fruits like bananas, apples, and oranges. Air fresheners. Trust me, the stagnant smell of mildew and heat gets old after a while. A list of contacts. Emergency management offices. Local law enforcement. Local hospitals and utilities. Loved ones. 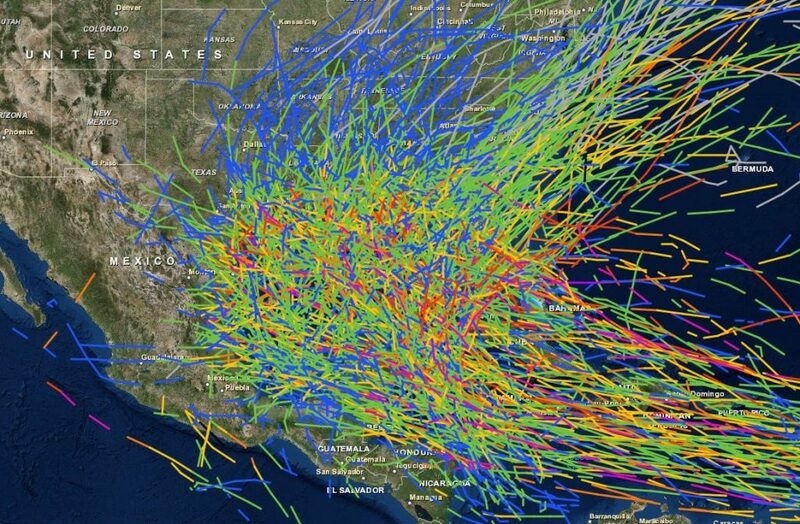 The projected path of Hurricane Irma in 2017. So stressful! First Aid Kit. Antibiotic ointment, bandages, cotton balls, safety pins, gauze rolls, scissors, and aspirin. A Map. Use this in case you get evacuated and your GPS stops working. Portable phone charger. And don’t use your phone unless you absolutely need to. I hope everyone makes it through hurricane season safely and sanely! Make sure you include plenty of wine and Xanax in your hurricane prep kit. Nyuk yuk yuk…. 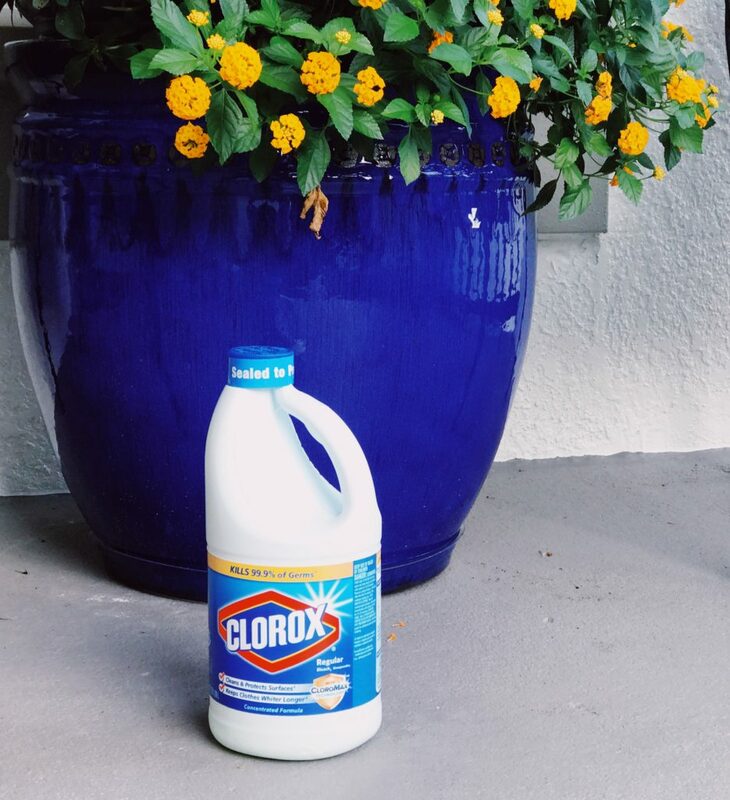 Who knew you could use Clorox for post-hurricane cleanup efforts? Good to know!